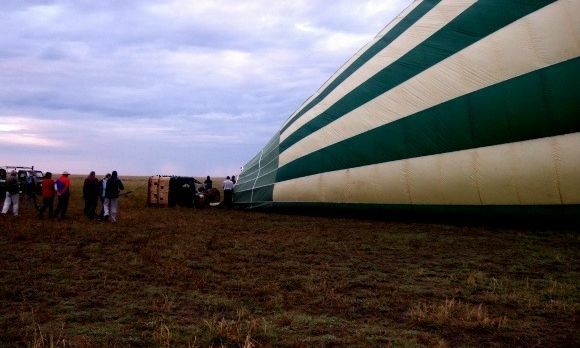 Up, up and away in your hot air balloon! Nancy Sinatra was absolutely correct: “The world’s a nicer place in my beautiful balloon”. We believe there’s a real beauty when you explore the world from above, gliding gently away and back to it. Whether you wish to fly over deserts or ruined cities, we offer unique once-in-a-lifetime hot air balloon adventure travel experiences. Gently glide over the open sandy plains of the Masai Mara and observe native wildlife such as wildebeest, zebra, giraffe, impala and Thomson’s gazelle without disruption. If you’re lucky you may even spot one of the Big Five! All the Masai Mara lodges and camps in the Enchanting Travels collection offer balloon safaris, including Entim Camp, Karen Blixen Camp, Naboisho Camp, Kicheche Bush Camp, Elephant Pepper Camp, Mara Plains Camp and Rekero Camp. 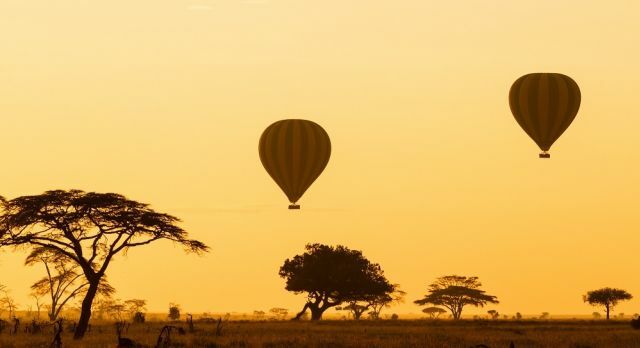 Similarly, you can enjoy an ultimate wilderness safari by hot air balloon in Tanzania over Serengeti National Park and we particularly recommend Dunia Camp and Nasikia Central Camp for such an experience. In Kafue National Park you can experience a bird’s eye safari at Shumba Camp. Our hot air ballooning experience in Sri Lanka begins with a pre-flight briefing from the pilot. With the required knowledge you can then set off into the skies, travelling up to 2,000 feet. Observe a gorgeous sunrise within the morning mist. The richness extends with a panorama of ruined cities and untouched wilderness. This is the ultimate opportunity to see the renowned 2,500 year civilization of the cultural triangle of Sri Lanka from a unique perspective. Witness the aerial views of the tranquil landscape, the ancient Dambulla rock temple and the sacred Sigiriya Rock Fortress or ‘lion’s rock”. 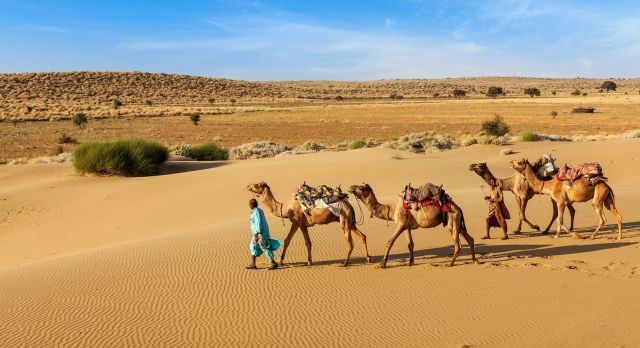 The sheer magic of Rajasthan comes alive when it’s seen from above as you float over ancient castles and palaces, mountains, lakes and rural villages. This gigantic hot air balloon provides the kaleidoscope of the state’s color and culture. Learn the science – and art – of hot air ballooning from your expert pilot and highly trained crew members. 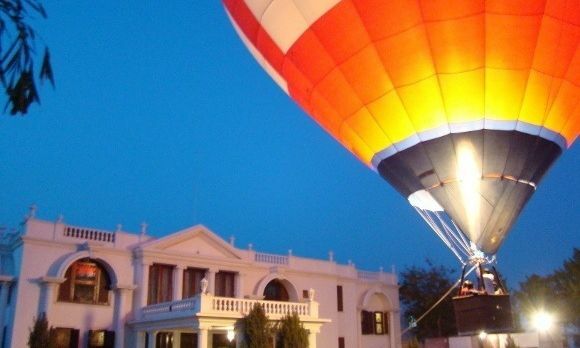 After a memorable ride that starts and ends in the pink city of Jaipur where weather conditions are ideal, the fun continues as you see the balloon being skillfully and enthusiastically deflated. 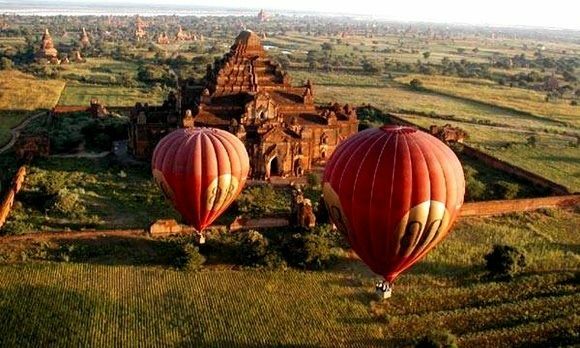 An ancient city, Bagan is a wonderful setting to float over in a style. Whether its sunrise or sunset this glorious and exclusive experience lets you glide over Buddhist temples, stupas and pagodas. Set within the Great Rift Valley of Kenya, the UNESCO World Heritage Site Lake Elementaita is an absolutely picture-perfect destination with its bright pink flurry of flamingos against the subdued grays of the waters. We feel there’s no better way to enjoy these spectacular views than going on a balloon safari. Soar to new heights with a private, tailor-made adventure to any of the above destinations with Enchanting Travels.